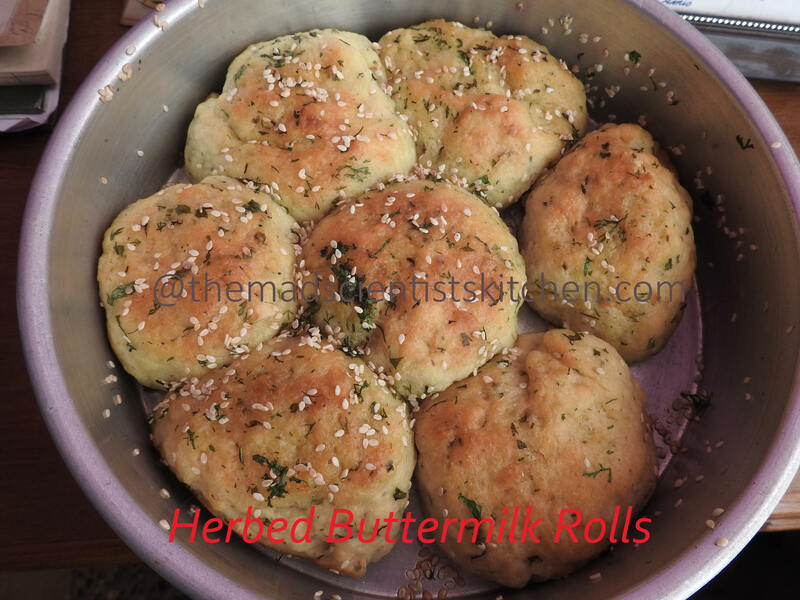 Herbed Buttermilk Rolls were baked as a birthday bread for my daughter ages ago. 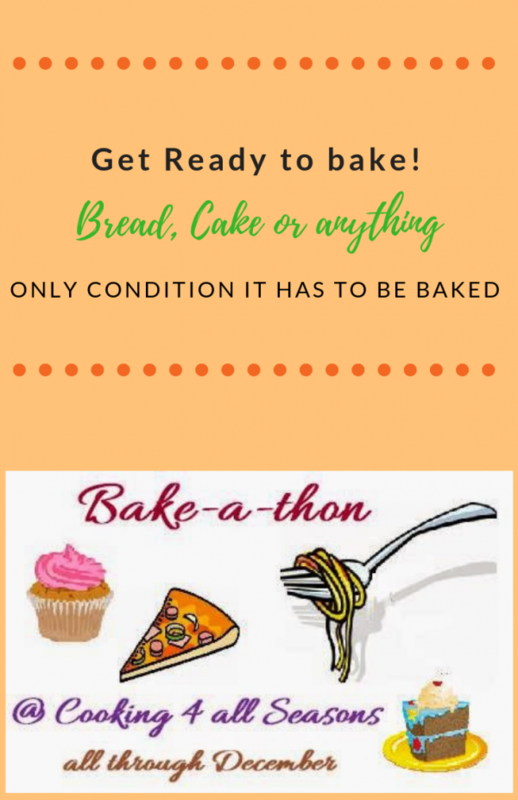 My kids do not like sweets even when it comes to chocolates and cakes they are verrrry choosy so when Apekaha asked me to bake bread for her birthday I was happy. Around that time I saw Priya who blogs at I Camp in my Kitchen post herbed buttermilk rolls so it follows that I baked them too. Down the line, I forgot about it till I was today hunting for pictures to post today in Bake a ton. In the food processor take flour, sugar, yeast and salt and run it for 30 seconds for the ingredients to mix. Meanwhile, chop the herbs and garlic into finely. Add all the garlic and 2 tbsp of chopped herbs to the flour. To the remaining herbs, add 1/4 cup of warm oil this you can use for brushing the rolls and also for baking bread later. Mix warm water with buttermilk. And add to the flour mixture slowly. Once the dough comes together transfer to the floured surface and start kneading to get a soft dough. You might not need all of the liquid, hence add slowly. Reserve about 2-3 tbsp oil and Add the rest to the dough and knead for another 3-4 minutes to get a soft and smooth dough. Transfer the dough to a well-oiled bowl. Turn it over once and cover it well with a cling film or tea towel. Let it rest for an hour or until it doubles in size. Once doubled, punch down the extra air from the dough. Dust your work area with flour, roll the dough into a log, using a sharp knife, and divide the dough into 7 or 8 pieces. I divided into 7 portions. Roll each portion into a tight ball; place it on a greased baking tray. I used an 8-inch baking pan. Let the rolled balls rest for 30 minutes towards the end of the baking time preheat the oven to 200°C. Brush the rolls with the herb oil. Sprinkle sesame seeds and bake for 30 – 40 minutes. If you feel mid-way the tops are turning brown fast, then tent the rolls with aluminium foil and bake. Remove the rolls onto a wire rack, let it cool completely. Serve it some warm soup if you have any left mine disappeared by the time I took these pictures. Brush the rolls with the herb oil. Sprinkle sesame seeds and bake for 30 - 40 minutes. Would love to have this aromatic rolls warm, can smell the flavor of this buttermilk rolls rite from my lappy screen. Droolworthy definitely. That’s a cool idea to bake a bread instead of a cake for a birthday , and the bread looks fantastic ! I bet the aroma of mint must have been wonderful ! 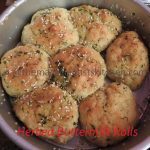 The buttermilk rolls looks so good Archana. That is a great thing that Apeksha wanted savoury bake for birthday. Wish my daughter was like that. These dinner rolls look and sound so flavorful and delicious. Buttermilk must have made them so soft and fluffy. Yumm!! That’s a lovely idea to have this to celebrate birthdays…the buns look awesome. Buttermilk and herbs translates to flavorful and soft. Nice recipe! Buttermilk will make the rolls so soft I believe. And it have tasted awesome.. Yes, it was Renu. Thanks. These beautifully browned rolls appear soft and moist. Those herbs must have added loads of flavor. Glad your girl loved these rolls arch! They have come out perfect!!! Would love such savory rolls anytime!!! Thanks, Priya. It was easy to copy thanks to your instructions.